Green growth is vital to secure a brighter, more sustainable future for developing countries. Developing countries will pay a high price for failing to tackle local and global environmental threats because they are more dependent on natural resources and are more vulnerable to resources scarcity and natural disasters.This book presents evidence that green growth is the only way to sustain growth and development over the long-term. Green growth does not replace sustainable development, but is a means to achieve it. Green growth values natural assets, which are essential to the well-being and livelihoods of people in developing countries, and if policies are designed to respond to the needs of the poorest, green growth can contribute to poverty reduction and social equity.Building on experience with green growth policies in developing countries and extensive consultations with developing country stakeholders, this report provides a twin-track approach with agendas for national and international action. It responds to developing country concerns about the technical challenges arising from early efforts to “go green” and documents a wealth of examples from developing countries. Green growth objectives and policies will need to be mainstreamed into every government objective and most importantly, into national budgets. Green growth policies can use untapped opportunities to boost domestic fiscal revenues and attract quality investment for years to come. International co-operation is needed to help mitigate the short-term costs that may be associated with pursuing green growth. International flows of money, trade and technology know-how is vital to encourage pursuit of green growth in developing countries. 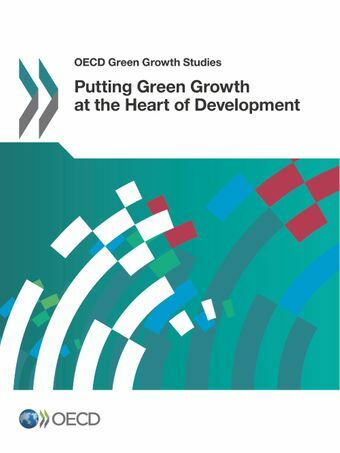 Why is green growth vital for developing countries? For further information, please contact Jan Corfee-Morlot (jan.corfee-morlot[at]oecd.org).